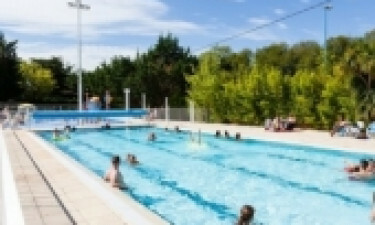 Les Amiaux is a leading LUX-camp that is situated in the picturesque Brasse Normandy region of France. This area is famous for its rich culture, stunning beaches and traditional villages. Guests who book a mobile home at Les Amiaux will have plenty of time to enjoy these fabulous features as well as making use of the wide range of amenities and facilities that are right on their doorstep on the site itself. What Makes Les Amiaux So Special? As you might expect, most people who book a luxury tent at Les Amiaux arrange to stay at this luxury camping site so that they can spend their days soaking up the sun on the beach. A long stretch of golden sand is situated less than five hundred metres from the site; visitors can follow a path that leads through the sand dunes to reach the beach. On a clear day, it is possible to see across the water to the Channel Islands; taking a boat trip to explore the islands is another great way for visitors to unwind. A large golf course can be found right on the site of Les Amiaux, meaning that guests will have no trouble getting into the swing of things while enjoying luxury camping. 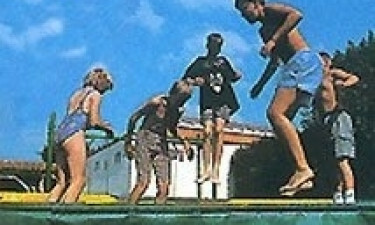 A wide range of other types of sports such as volleyball, football and table tennis can also be played on the site itself as well as on the beach. Children of all ages will be able to get a lot out of their camping holiday at Les Amiaux, as an excellent range of entertainment options have been designed with their needs specifically in mind. Children are sure to love splashing around in the large swimming pool that comes complete with a colourful waterslide, while there is also a paddling pool for younger kids to enjoy. In addition to being given free reign of the children’s play area, staff at Les Amiaux also organise a range of special activities for youngsters to take part in. Lovers of fine French cuisine are sure to be impressed by the excellent range of dishes that is served up at the onsite restaurant. Simpler offerings such as pizza and chips are also available for the kids, while the onsite bar is a great place to unwind for a while. Readymade meals can be purchased at the onsite supermarket, which makes feeding the family a breeze, while enjoying a camping holiday. People who enjoy getting creative in the kitchen will also find fresh local produce and other ingredients that they can use to make meals from scratch inside their mobile home, while charcoal grilling is also permitted at Les Amiaux. Fresh bread is delivered each morning in time for breakfast.